I’ll be the first to admit that I’m not typically the biggest fan of male focused grooming lines. Mostly because I’ve got a lot of hair and have hard a time finding a product to keep these long locks in check while adding shine and maintaining frizz. 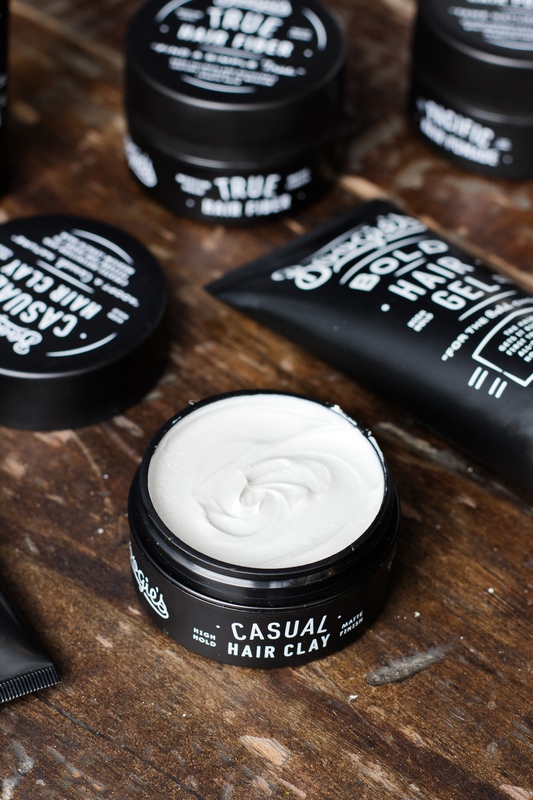 Style by Boogie, from Dollar Shave Club, was a pleasant surprise though as they’ve got something for everyone, and the simple packaging along with their fresh, clean scents made me a believer in men’s grooming lines once again. 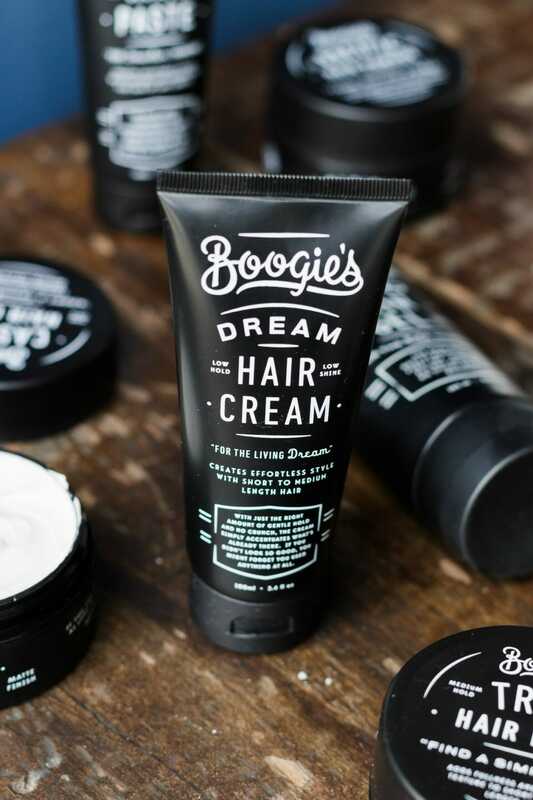 I don’t wash my hair every day, but on the days that I do I’ve been using Boogie’s Dream Hair Cream which is a low hold styling product made to emphasize your natural style. And since I typically let me hair air day this guy was the perfect product to apply to damp hair, comb through and back into my typical part, and let air dry. Even better, it’s free of parabens and sulfates, which means it won’t be weighing your hair down or leaving it feeling like you’ve got residue even after you’ve shampooed a few times. Thanks to my light, light locks I’ve got my fair share of baby hairs around my hairline, and while you can’t normally tell when I’ve got my hair down you can definitely see them whenever I’m wearing it back in a bun or pony tail. 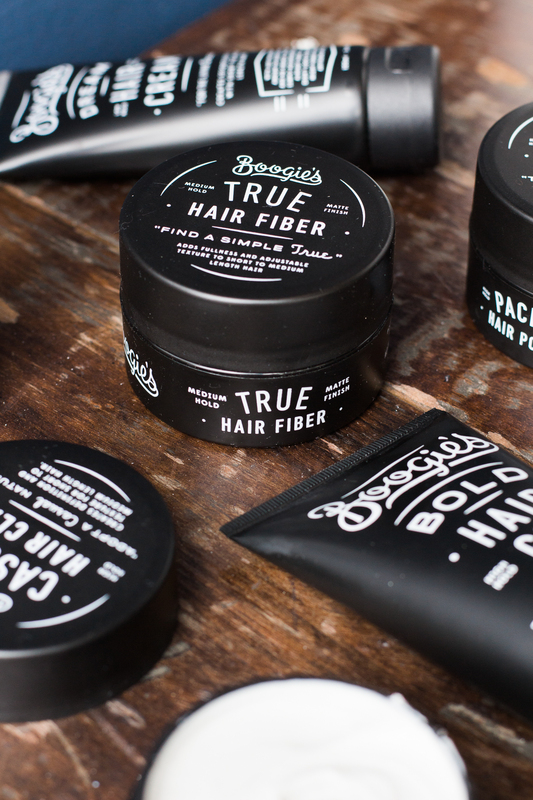 On those days I use Boogie’s True Hair Fiber to keep those bad boys in their place, and it’s able to plump up those smaller strands, making it a lot easier to keep them in place than usual. 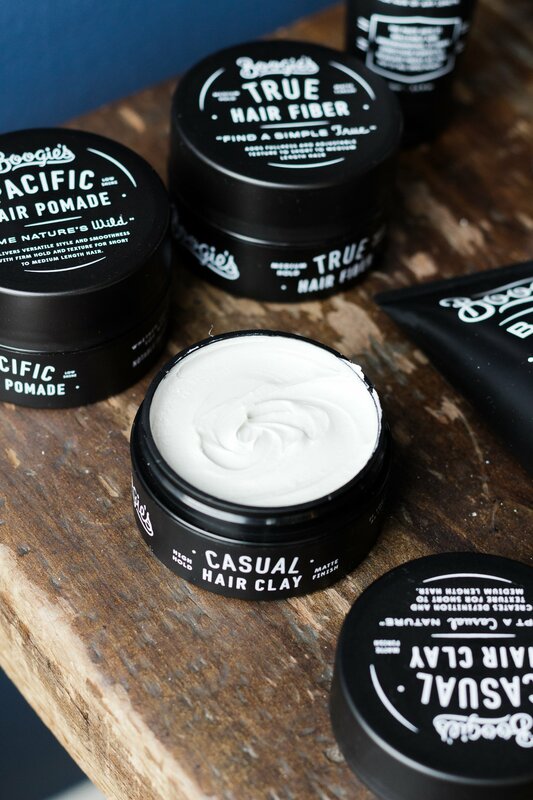 If you’re in the market for a new grooming routine for you (or your man), or if you’re in the market for an almost last minute Father’s Day gift I’d definitely encourage y’all to check out the full line of Style by Boogie products – they’ve got something for every man in your life. Disclosure: This post was sponsored by Dollar Shave Club, but as always, all thoughts and opinions are my own.